The presentation by Randy Linder and his band as a tribute to Creedence Clearwater Revival is second to none. 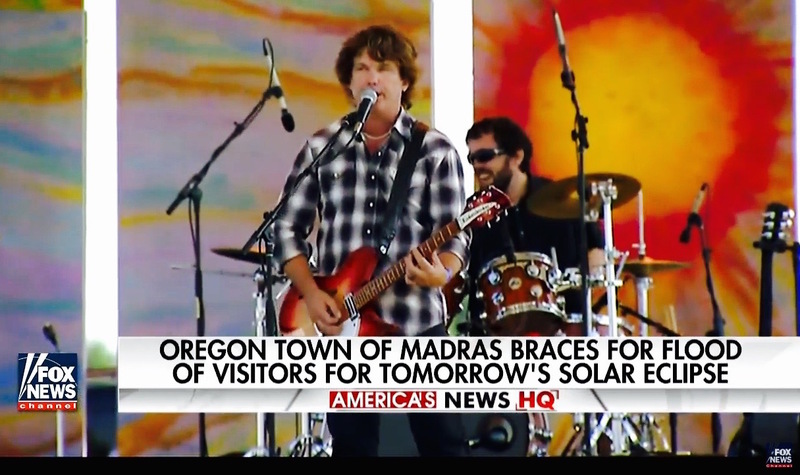 They have entertained audiences from California to New York with the beloved hits that came from CCR between the years of 1968 and 1972 and a few of John Fogerty's solo hits. 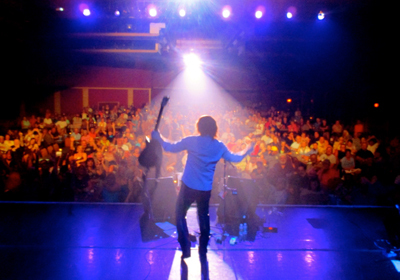 Randy has been in the music business since 1968 and has attained National and International status since developing this salute to John Fogerty and CCR in the year 2000. Past performances include several Las Vegas engagements, shows in Guam and a show in Mexico with an enthusiastic audience of 14,000 CCR fans. 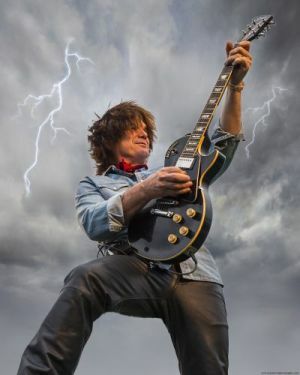 Randy’s authenticity shines through with the visual resemblance, the voice, the lead guitar style and even the rockin’ blues harp played by John Fogerty in some of those early CCR hits. You will walk away from this show having absorbed the energy of a full blown Rock N Roll concert and with a renewed interest in a singer/songwriter who played a huge roll in shaping American music culture. 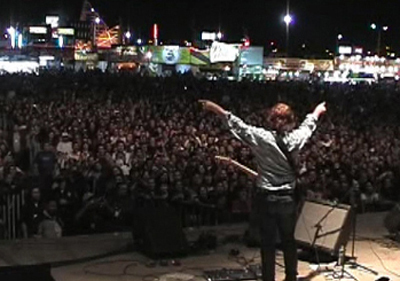 I can tell it comes from the heart.."
"We thoroughly enjoyed having Randy perform at Casino Del Sol. The music was spot on and his performance was excellent. Just as important was that he was a pleasure to work with and loves to perform." "The main comment I heard was how much like the original CCR it sounded. Great show!" "One of the best tributes we have heard here"
"Randy kept our crowd very entertained. It was excellent"
"The show was awsome! We will have you back next year"
"He's quite a talent, and it was a great show"
Spotlight 29 Casino (Palm Springs,CA) Sugar Creek Casino (Hinton, Oklahoma). Randy Linder maintains top notch back up bands in several US cities including Phoenix, Las Vegas and Minniapolis. a variety classic rock act. 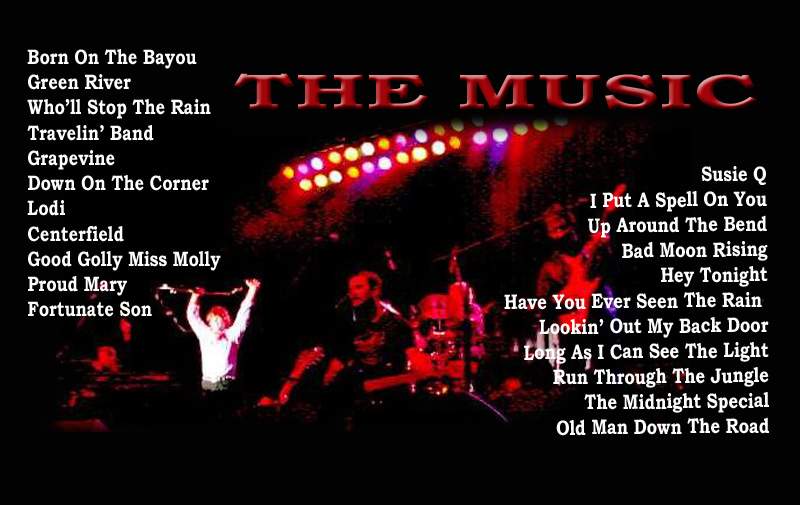 RANDY LINDER’S ROCK ’N’ ROLL FANTASY is an energetic live performance of classic rock hits from the 60s,70s and 80s. 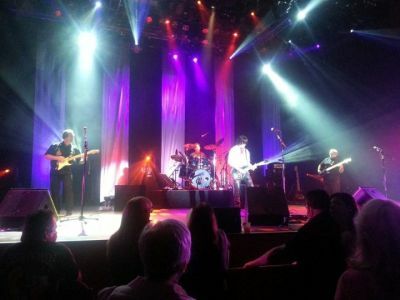 While performing a tribute to CCR coast to coast for the last 17 years this band has developed into a band that puts out authentic versions of crowd favorites in true concert fashion. The song list includes hits from Bad Company, Tom Petty, Bob Seger, The Rolling Stones, The Beatles, Jimi Hendrix, Santana, Stevie Ray Vaughn and ,of course, Creedence Clearwater Revival.